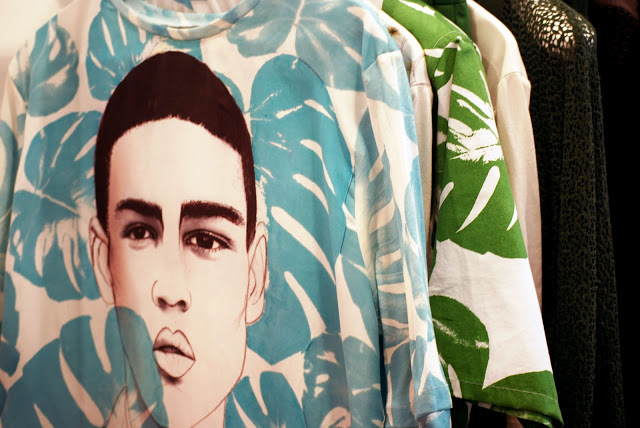 Clouded leopard labeled Kenzo are one of the key and must-see prints of this Summer. It is a pattern taking inspiration from Lim & Leon's holiday trip to Thailand, updating the Jungle Jap spirit of the brand with the iconic Tiger. 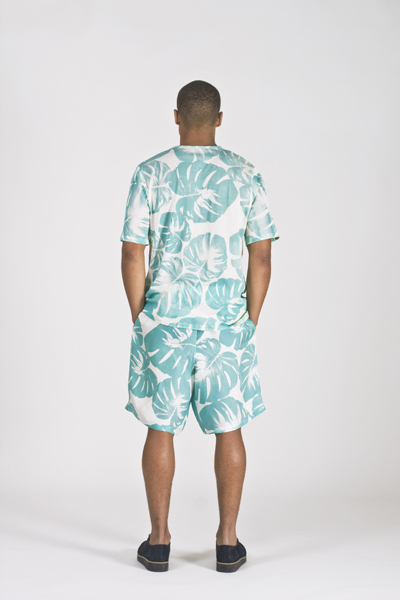 Jungle is also the first thing that comes to our mind when you think of Joseph Turvey's SS13 collection. Joseph Turvey is a London based designer who studied Fashion design (BA in 2010) and was graduated Menswear Design and Technology at the London College of Fashion in 2012. Between 2010 and 2012, he worked with Katie Eary to master the techniques of design. Turvey's signature is definitely the illustration prints in bold colours. 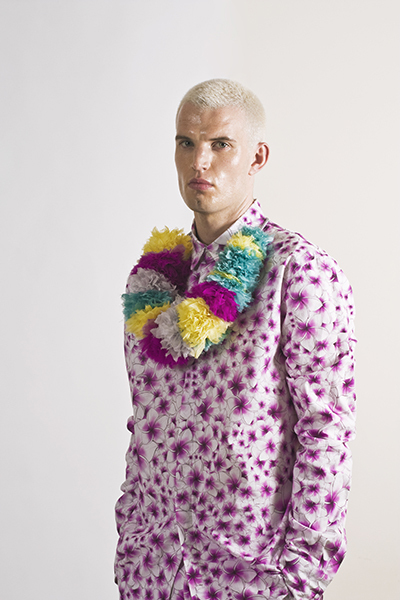 Turvey has imagined his jungle in green, light purple,turquoise and yellow for this Summer collection. Thus, we are obessed with the green banana-tree leaves printed shirt (among which you'll find an illustration of a cat), the turquoise banana-tree leaves printed tee-shirt (among which you'll find an illustration of a man) and its matching shorts, the all-over light purple tropical flower printed suit or the yellow tropical flower printedt tee-shirt with the light purple tropical flower printed shorts. 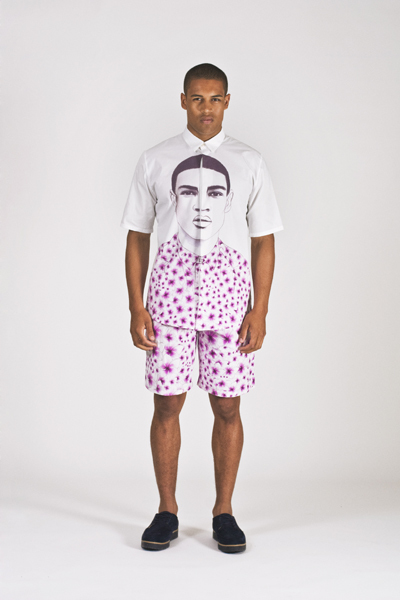 And we particularly love the Trompe l'oeil illustrations with a man wearing a green tee-shirt and shorts and also a man wearing a light purple tropical flower printed shirt and its matching shorts. 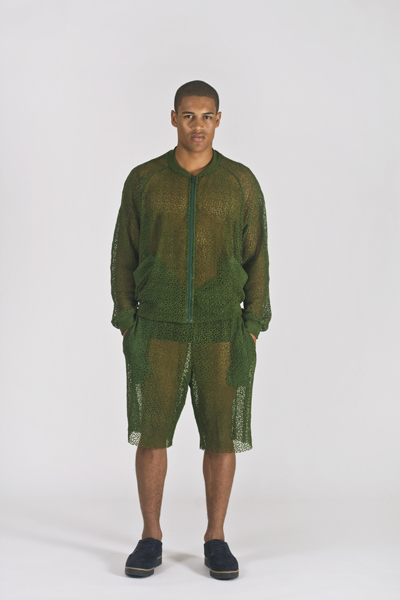 Turvey's ss13 wardrobe got the casual wear label with high-end techniques of design, couture is not so far with the flower lace in the beautiful green (a zip jacket and shorts) and the "shocking" black as much as it's the only black piece (a sweatshirt and its pants). 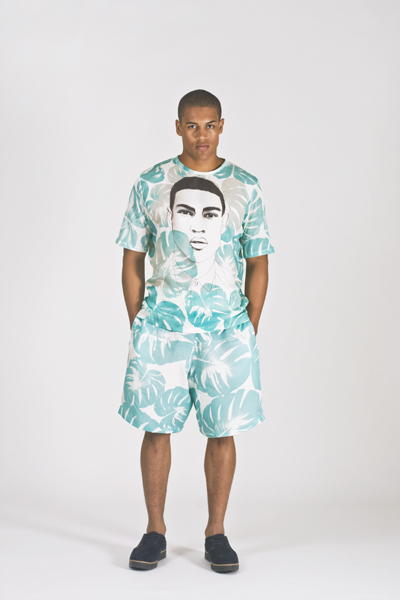 To sum it up this Jungle Fever SS13 is a standout masterpiece of musthaves. We can't wait for The Unconventional website to display all these gorgeous items from his collection (the face illustation printed t-shirts, another gimmick in Turvey's work, from his first collection are already available on this website) and only hope that Joseph Turvey will very soon offer an online shop where we could let our spirits (and wallets) wander. Be sure we will speak again about him very soon on W.A.R.M. 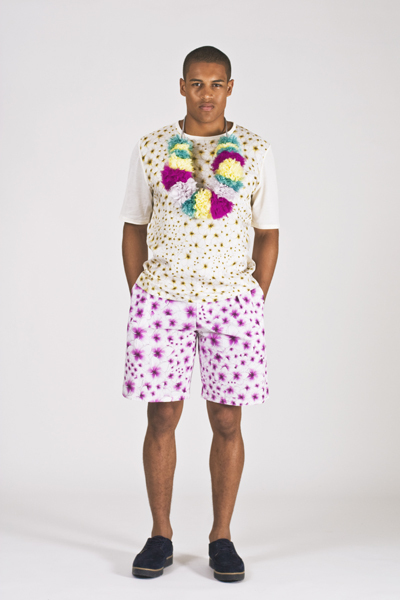 because he is a real coup de cœur for us and his AW13/14 cartoonish collection (that Cruella De Vil would have loved!) must really be talked about! But for now, that's all folks! 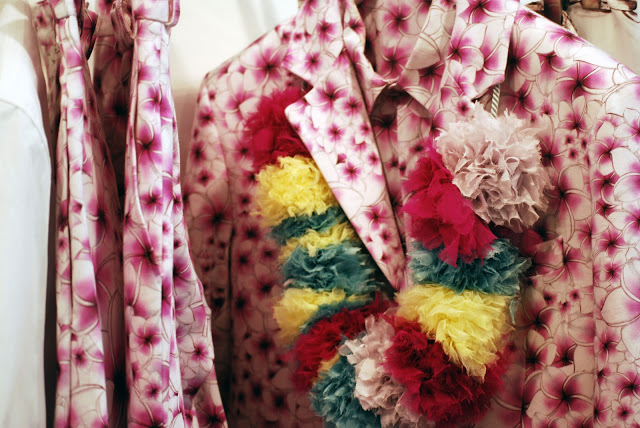 All these pictures come from either Joseph Turvey's website or Fashion Scout Blog.